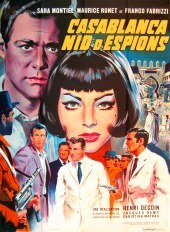 The films that created a legend...! 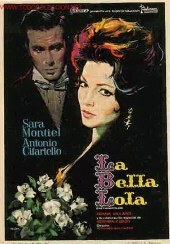 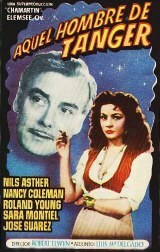 aka "AQUEL HOMBRE DE TANGER"
(Miss Montiel appears in the Spanish language version only. 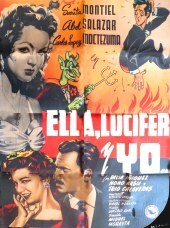 aka "AMORCITO DE MI VIDA"
A: Raúl Martínez, Chula Prieto, Domingo Soler, Antonio Espino "Clavillazo"
A: Marc Michel, Fosco Giachetti, Carlos Alberto, Zeni Pereira, Grande Otelo, Arlindo Rodriguez and "Academicos do Salgueiro"
News documentary filmed by RTVE featuring interviews with Sara Montiel and other celebrities. 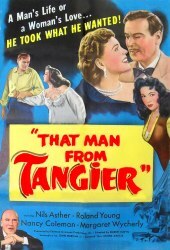 Film is based on a popular television sitcom. 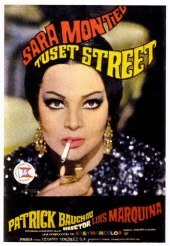 Guest appearance by Sara playing herself. 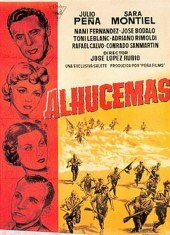 Documentary about the Spanish Civil War and World War II. 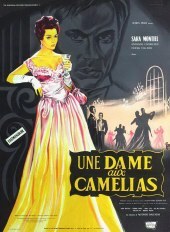 Includes Sara in a film clip. 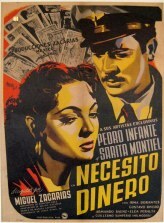 Award-winning documentary profiling the story of Ramón Mercader, the confessed assassin of Leon Trotsky, through the testimony of people who knew him including Sara Montiel who visited him in prison. 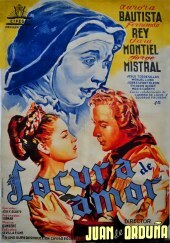 Mercader's daughter recalls that her father was a huge Montiel fan. 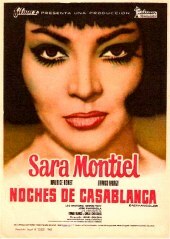 Made for TV documentary including interview with Sara Montiel and film clips from her films. 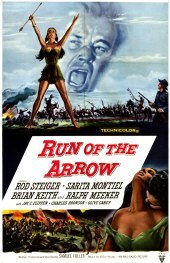 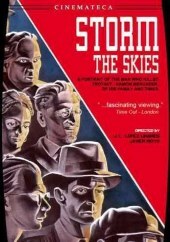 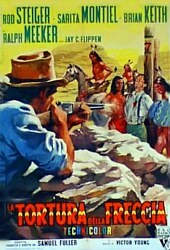 Released on home video by Video Mercury. 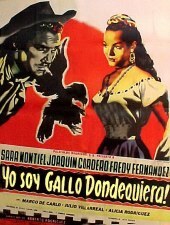 A documentary celebrating 100 years of Spanish cinema. 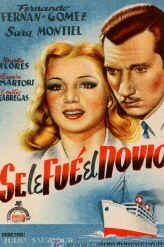 Features film clips from the most important productions including some from Sara Montiel movies. 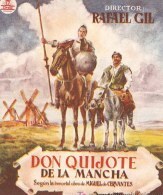 Produced by Enrique Cerezo for Spain's Ministry of Culture. 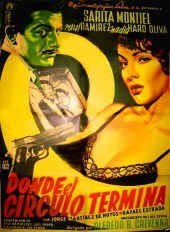 Cinematographer: Porfirio Enriquez. 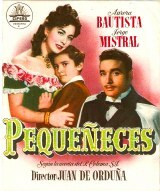 Music: Gregorio García Segura. 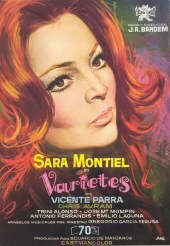 A documentary starring Sara Montiel in a restrospective of her life and career. 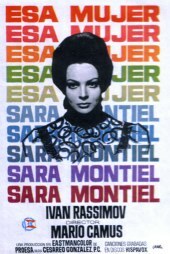 Testimonials about Sara by writer Terenci Moix, director J.A. 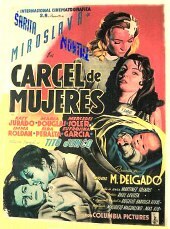 Bardem, actors Joaquín Cordero, Raul Ramírez, Irma Dorantes, Icíar Bollaín, Esperanza Roy, Magda Guzmán, Manuel Zarzo, etc. 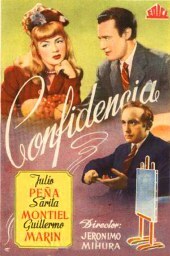 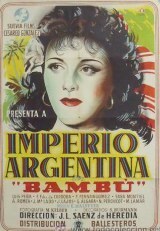 Produced by José Antonio Pérez Giner. 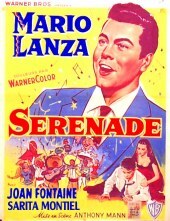 A documentary on the life of legendary Cuban crooner Antonio Machín. 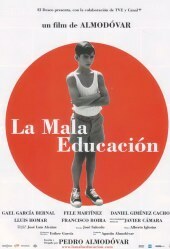 Includes testimonials from Sara Montiel, Juan Manuel Serrat, Joaquín Sabina, Antonio Gala and others. 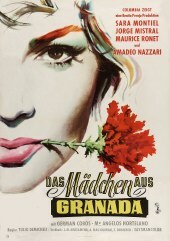 A gay film which had a successful run at the 2004 Sundance Film Festival and was an award winner at the 2004 Berlin Film Festival. 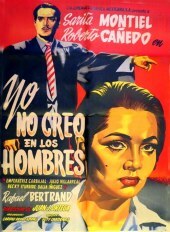 It deals with the frustrations of Gerardo (Juan Carlos Ortuño), a young gay Mexican searching for true love. 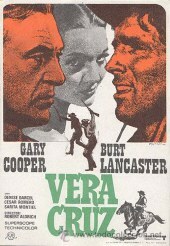 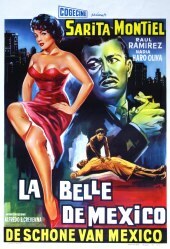 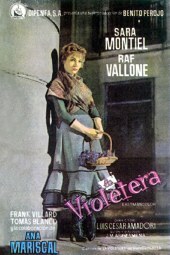 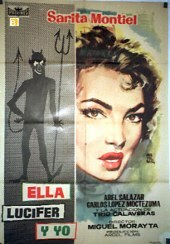 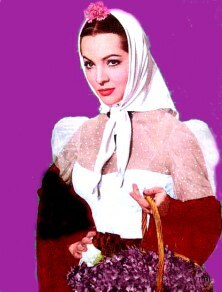 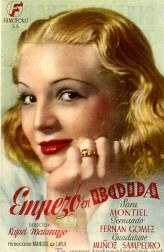 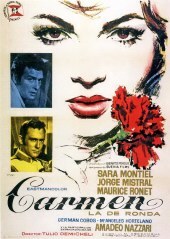 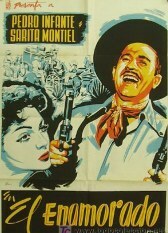 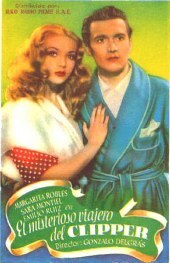 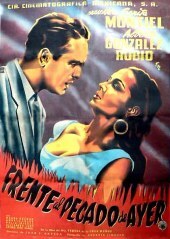 Impressed by the 1957 film "El Último Cuplé", Gerardo chooses the song "Nena", sung by Sara Montiel, as his favorite love theme. 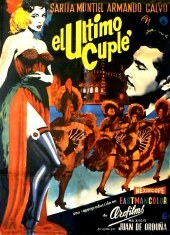 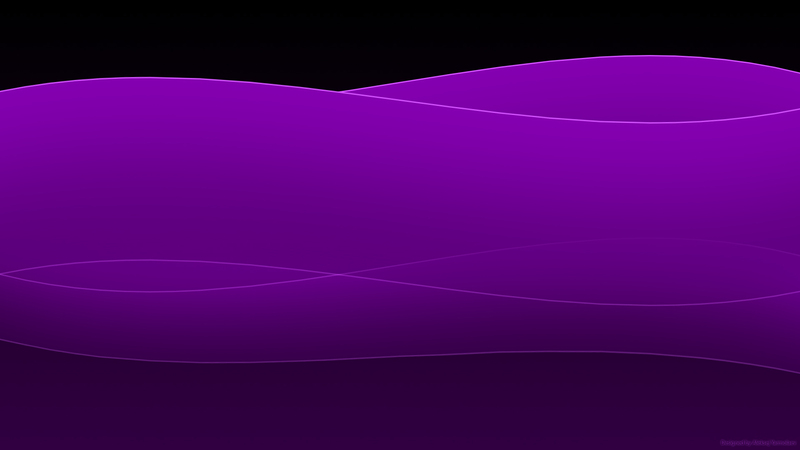 The song becomes the leit motif of a doomed romance and consecuently of the film itself. 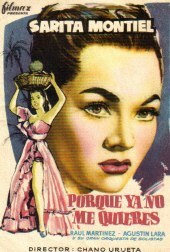 Released on DVD with English subtitles. 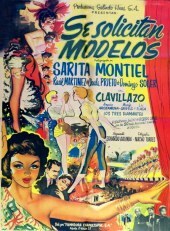 Controvertial film dealing with child sexual abuse, homosexuality and transvestism includes a tribute to Sara Montiel's beauty and cultural impact. 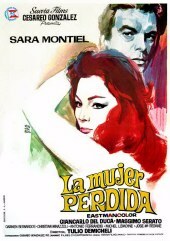 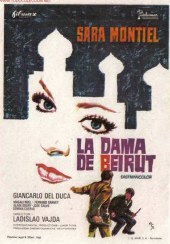 Contains film clips from "Esa Mujer" (1968). 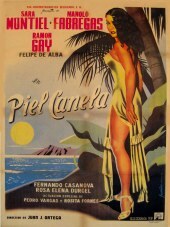 There is also a sequence inspired by the film "Noches de Casablanca" (1963) in which actor Gael García Bernal, as a transvestite named "Sahara," lip-synchs to Montiel's recording of "Quizás, Quizás, Quizás." 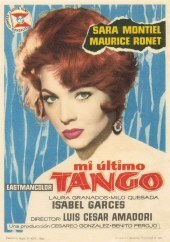 Also transvestite actor Sandra lip-synchs the song "Maniquí Parisien" from "Mi Ultimo Tango" (1960). 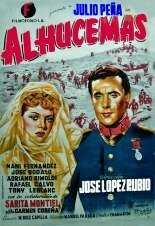 A: Luis Arrieta, Ramón Valdéz, Cassandra Changherotti, Javier Gurruchaga. 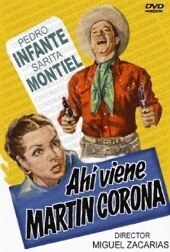 Coming of age comedy includes in soundtrack "Quizás, Quizás, Quizás" performed by Sara Montiel. 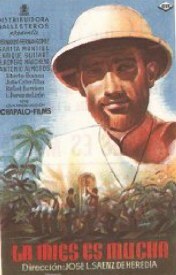 Biopic on the life of poet Jaime Gil de Biedma. 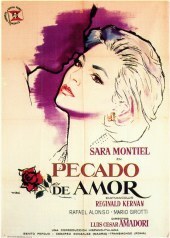 Soundtrack features "Flor del mal" performed by Sara Montiel. 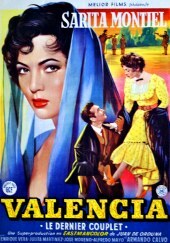 Documentary retracing the role of women in Spanish society as portrayed in Spanish films from the 1930s to the present day. 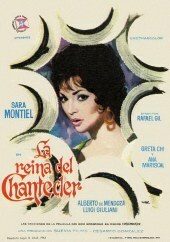 Over 180 film clips are shown including some from celebrated Sara Montiel films.